Although there’s nothing serious about the accident last Friday, I can’t help feeling thwarted waking up the next day, considering the steps that we need to sort out to get our car fixed. My thoughts were again clouded with anxiety built up with laziness to do what needs to be done. It was raining. Probably the reason I chose to delay getting started for the day. While I revel at the warmth of our apartment on the cold breeze of an autumn morning, I sleepily surf through my facebook home page. I was planning to post a shout of gratefulness for the previous day’s misfortune or maybe blog about it. What caught my attention though was a friend’s plea to pray for her relatives and our fellow Filipinos struggling against a tropical storm in the northern part of the country. 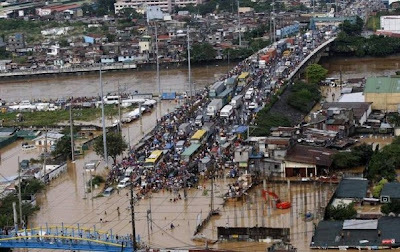 Since storms are rampant in the Philippines, I paid little concern about it. Yet another friend posted a shout out with a similar content. Out of curiosity, I searched for news about the said storm. My own worries melted away as we watched the news. I realized how negligible my cares were compared to what my kababayans were going through at that very same hour. 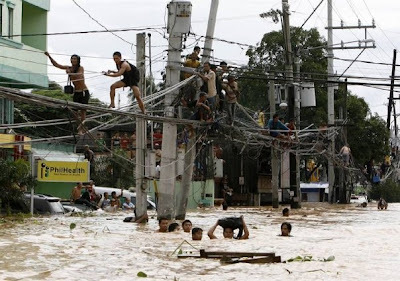 My heart felt the anguish of what the killer typhoon “Ondoy” has brought to my countrymen. Houses were torn down to pieces, some of which were dragged by the enraged current of floodwaters. Unfortunately, some people were left with no choice but to hold tight to these very same pieces of wreckage to hopefully save their lives. 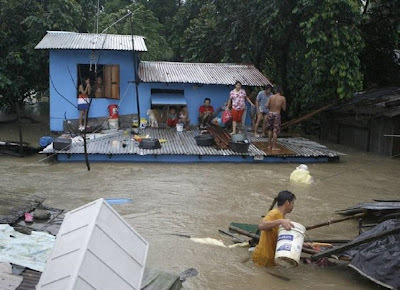 A video footage showed a family waving their hands, maybe screaming for help as the raging flood hauled them off together with their ravaged homes. Others managed to climb up to their roofs, not only anticipating rescue but also trying to evade the growing wrath of floodwaters- they were drenched, cold and hungry at the same time. I know both the national and the local government sections were and are still doing their best to act upon the situation. Yet it is sad that Filipinos always have to suffer before apparent issues are addressed. Floods and landslides have always caused lives of many families due to typhoons but no serious action was implemented to solve the problem since time immemorial. None that I can tell since we always end up listening to the same news stories when the country is faced with a calamity. I understand that this is not the time to point fingers and blame anybody. But I do hope that this will be a lesson to the government- that before savoring that luscious million-dollar meal at a New York restaurant, may these government officials remember the less fortunate people in the country. 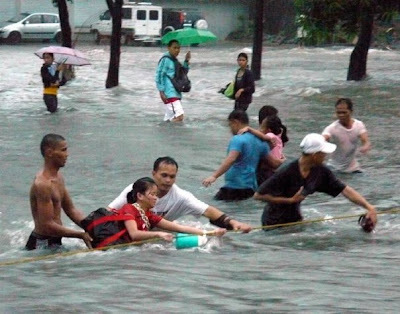 The agony of our poor fellow Filipinos was prolonged since there were no immediate rescue equipments available. That money spent on a grand restaurant may as well be spent for reliable equipments in preparation for fury disasters that may hit a poor country like ours. I was teary-eyed watching the aftermath of the recent catastrophe that struck the Philippines- not only for the properties ruined and lost but mostly for the lives shattered especially those of the little ones. 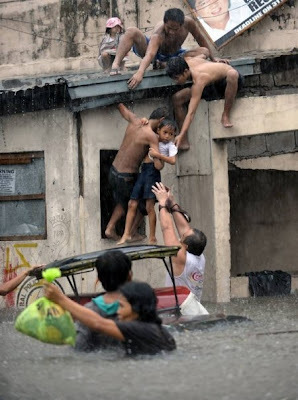 As much as I feel sorry for my fellow Filipinos, I am proud of those who went out of their way to help in any way they can. To those who braved the floodwaters to rescue people, I salute you for your courage and to those who donated cash or good, God bless your hearts for your generosity. To those of you reading this entry, please help me pray for all those devastated by typhoon Ketsana in the Philippines. More than anything they still need to know that God is still good amidst this heartbreaking incident in their lives. Posted by donnalyn at 9/29/2009 05:42:00 PM 0 squiggly notes..
That’s what made my heart uncontrollably jump up and down last Friday afternoon! We dropped by Walmart to get a bottle of solution for my contacts. I drove on our way home and as easy as I can, I pedaled on the brake as the red light signaled. 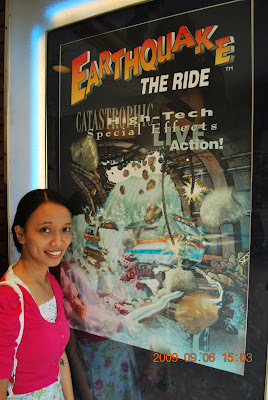 Hubby and I were good until we were shaken by an abrupt loud sound that budged our car forward. I turned to look what had just happened and was saddened to realize that a large GMC truck just hit the rear of our poor car. Hubby immediately went down to investigate how the driver of the truck was. While they made a friendly conversation, my knees were shaking as I reached for the fone to dial 911. I don’t know why now but I was so scared to death! Hubby came back telling me it wasn’t my fault. The truck driver stepped on the gas rather than the brake on the red light. She's an old lady, who wanted to leave after giving us her insurance information. We waited a while and I could tell both of us grew a bit upset when police only showed up almost 30minutes after I called. I was wondering if they would have responded the same way if it was an emergency of life and death situations. Anyway, we were given a piece of paper with case number after the officer wrapped up his mini investigation. We spent a pretty penny for tune up, oil change and engine oil leak repair last Thursday which we thought improved the car’s condition. Unfortunately, accidents happen unexpectedly. Our car is again in bad shape now. Thankfully, the other party’s insurance will cover the expenses for the damaged caused this time. Even so, thank God nobody was injured or hurt in any way. Posted by donnalyn at 9/28/2009 08:21:00 PM 0 squiggly notes.. I lost my precious eyeglasses on our way back home from Gatlinburg. We turned the car seats upside down but still did not find it. I forced myself to have an eye check up last year to know if there’s anything wrong with my eyes. The right one worried me much. It gets numb when too tired and a vein below it tends to protrude. Not only did it make me look harassed, it also bothers me a lot. Far from serious, doctor said that my eyesight is not that bad except that my eyes may be too strained facing the computer for more than 10hours a day. He prescribed me glasses for that problem and my eyes were cooperative enough to make me feel better. 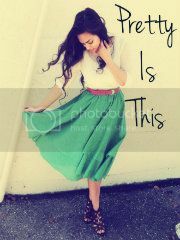 Unfortunately yeah, because I am CARELESS, they vanished without my blessing. My right eye looked miserable for almost a week without it. I walked in to another clinic for a second opinion. Doctor said that my right eye was weak compared to the left. 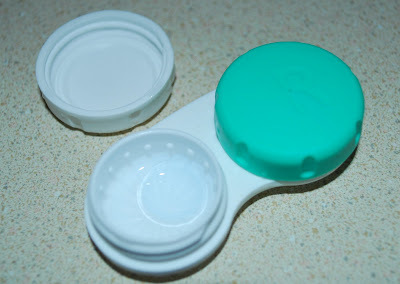 I opted for contacts and left the clinic with disposables on my eyes for a week observation. Although the first week was a bit work- putting them on and taking them out every few hours, I love the comfort they give than having to wear eyeglasses. It’s my second week now and I guess I need to order a year’s supply as soon as I can to get them for a cheaper price- not a want but definitely a need! Posted by donnalyn at 9/24/2009 09:50:00 AM 0 squiggly notes..
My tomatoes only gave me two immature fruits. Can you tell how unhealthy they are? of their much needed sunlight. 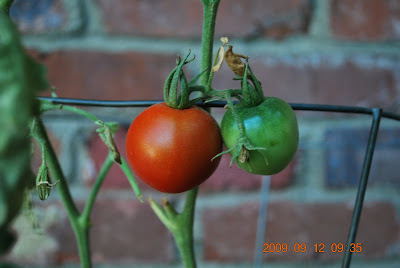 on the same pots next year. and my sweet goal to eradicate unnecessary spending? I did not have any luck on it. 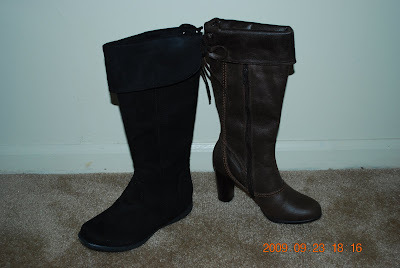 No, not just for one BUT for TWO pairs of BOOTS! they're both LESS than HALF the regular price. a smart bargain for the cold season. Posted by donnalyn at 9/23/2009 06:22:00 PM 2 squiggly notes..
Posted by donnalyn at 9/23/2009 08:12:00 AM 0 squiggly notes.. He called a 30-minute meeting yesterday. It was a short-notice so I thought it would be nothing serious, maybe just some information that our department needs to know. Indeed, it was. He enlightened us to put our worries aside and just work. The “budget cut” meetings of the management team has already been put to halt and “lay offs” seem to be quiet these days after a few months of being the loudest issue here. Although I don’t always feel the greatest about my job, I am more than grateful I have a work to think about and a workplace to go to every day. I appreciate the Lord’s providence that I am able to pay monthly bills on or before their due dates. I thank Him for making me a blessing to my family back home. Though not luxurious, I feel blessed that we can afford short vacation trips out of town or simply go on road trips. We can shop for our needs and spare a little for our wants. These and so many more… A day won’t be enough to blog about the Lord’s goodness and greatness in my life. Our meeting yesterday was good news. Since my contract was extended, I’ve thought about thanking my manager personally many times. Yesterday seems to be a perfect timing to approach him or maybe email him after the meeting. As usual I was too shy… After agonizing myself about it for a moment, I realized one thing- praise is due to the One makes things happen. The Lord has turned things around for me countless times. He let me witness His amazing power over what is impossible to my human eye. He is beyond what words can describe. I can never never thank Him enough and I just love Him today! Posted by donnalyn at 9/22/2009 10:32:00 AM 0 squiggly notes..
Monday, I noticed is labeled to be the most hated day of the week by most. That plus a gloomy one won’t recompense the previous statement. Unfortunately, today is one of those Mondays. I received the unpleasant news yesterday and I cannot help being affected up to now. It breaks my heart to know how my parents were disheartened with what happened. I talked to them over the phone yesterday and I stood strong as our conversation went on. At least, I pretended I was. I cannot make them feel how much I wanted to break down and cry. I do not want to add up to their worries. I just wanted to make them feel better. I just wanted to make them smile and assure them that things will be alright. My eyes welled-up with sadness, my voice breaking at times, I cannot remember what else I told them except that I kept telling them to pray about it and let God take charge. It is raining outside. I love rain drops but I also always pray that it won’t pour. Sometimes God’s will coincides with my plea but sometimes it just don’t. Likewise, with what happened, I pray that He will let this pass very soon. I am not sure if He will, neither do I have a clue on His plans. But I just want to give it all to Him and trust in Him. He still knows better! Posted by donnalyn at 9/21/2009 01:26:00 PM 0 squiggly notes..
Never again will I opt for cheap vacation packages unless certain of every little detail that comes with it. I have requested my debit card be closed after dealing with our recent vacation reservation nuisance. Thus, all our purchase following that was initiated with swiping the plastic again. I dread using my credit card. I dislike thinking about fees, amount due and due dates. It seems to me like I have no right to enjoy ownership on things that aren’t really mine because I have not paid for them in full yet. No, no. I don’t mean to sound like I have never had debts in my life. Well, at least not for luxurious motives but mostly to accommodate my responsibilities as a breadwinner of my family. I have been there and still am. AND maybe that’s the very reason why I detest the idea of credit cards. Anyhow, my practice of diligently paying the bills on time and trying VERY hard to wipe out unnecessary spending helped me manage my debts wisely. Although I have not fully eliminated the idea of debts from my vocabulary yet THAT leaves me now with only obligatory monthly dues such as house and tuition loans and utility bills. I can’t conclude so soon though since I am left with no choice but to use my credit card again. Cash is another option but I am not used to bringing cash all the time with me. SO I decided on coming up with a budget accounting and see how this goes. I am really hoping I will be able to save a few bucks with this idea. Good bye long dress, skirts, sandals and bags... Byebye shopping and good luck to me! Posted by donnalyn at 9/18/2009 02:31:00 PM 0 squiggly notes..
We checked out early from the hotel on Monday. 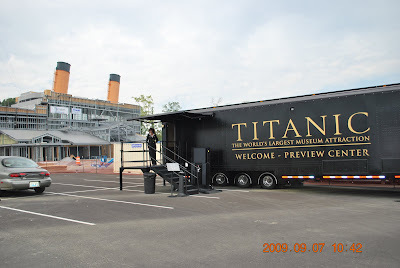 We stopped by the factory outlet store again to do a little bit more of shopping and dropped by at the free preview of the Titanic. It opens on April 2010 which appears be a very cool museum for me to which I am excited to visit come its grand opening. We were supposed to go see two more sites but with the traffic jam, we decided to just get past the one in Sevierville and go straight to an indoor aquarium further away from highway 66. I have never been so frustrated with a horrible traffic here in America except at that time. I got easily irritated with hubby’s giving space to other drivers trying to merge to our lane. Traffic was severely slow and we were hardly moving any distance after one car and another then another was given a chance by my generous husband to go ahead of us. Before I can punch hubby’s face, I diverted my attention to taking pictures. Traffic got a little better until we discovered its root cause. I got scared looking at the scene. I thought it was a big bike under the Chevrolet truck, but looking closely at it, it was a car smashed under the big truck. I could hardly imagine any survivor in that small car. I loosened up a bit as we drove passed it and continued to our destination for a break- Bass Pro Shops. It was an outdoor equipment store. 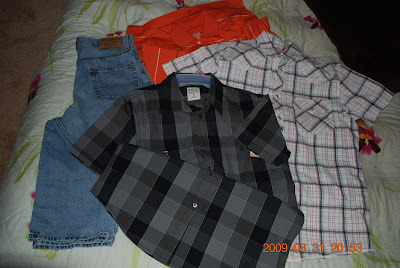 Most items were expensive but certainly of good quality. When it’s time to go, hubby told me to drive. I was so tensed, I cannot get rid of the remains of car wreck we just witnessed. I tried driving but I was all anxious. After almost bumping into a van running at 90MPH, I finally told hubby I can’t do it. We again stopped over the nearest rest area which was already within Kentucky boundaries. We took a 15minute break and drove again. We got home at almost 8PM. 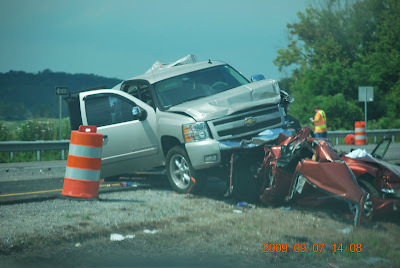 I thank the Lord for keeping His hand on our trip but I can’t help thinking about the accident. I searched for news the following morning only to find out that it was a 6-car crash that injured 18 people -2 of them, a mother and a child in critical and the another one in serious conditions. I do not know how they differentiate critical and serious here but I do pray for a miracle among the victims, especially those in terrible state. Some news stories reported that culprit was suspiciously drunk who stupidly tried to escape from authorities. Posted by donnalyn at 9/11/2009 05:54:00 PM 2 squiggly notes.. Despite a few dire circumstances that I have to deal with, I remained resolute to resume our plan for the long weekend. I had a hard time searching for hotels, motels, cabins or anything reasonably priced since most nice affordable places were already fully booked. After so much net surfing and searching, I managed to make my last-minute reservation on Friday afternoon. 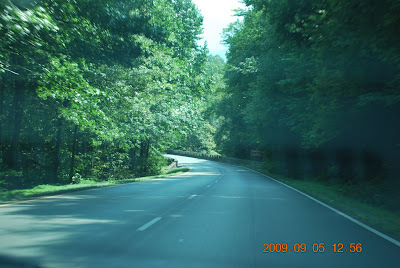 With our bags packed, we left for Pigeon Forge in Tenesee on Saturday around past 8AM and got there almost 12 noon- checked in to the hotel, ate our lunch, rest a bit then drove to Gatlinburg. It was a smooth 15-minute drive along the zigzag roads bordered by trees similar to Bohol’s man-made forest. I enjoyed the sweet smell of the woods with a cool serene atmosphere. I wish I could have gone down to pose for a picture with the trees as the background. Cars were unfortunately running fast and it doesn’t seem to be a picture taking spot. We realized we were entering the city center when traffic started slowing down. It looked like the town was too small for the crowd as it seemed like everybody in America actually spent the long weekend in Gatlinburg. What I expected to be something relaxing has worn me out. The busy streets packed with both people and cars reminded me much of Cebu’s oldest street- Colon. 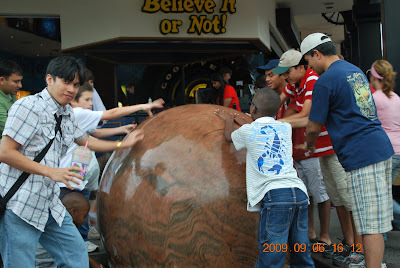 There are several candy stores, wood carving and souvenir shops, ice cream depots, dress and handbag botiques, Ripleys amusement arcades, and a whole lot more. It was definitely a place to spend if not waste a good fortune. In the meantime, we decided to just drive around town to contain the look and feel of the place since we can park no where. 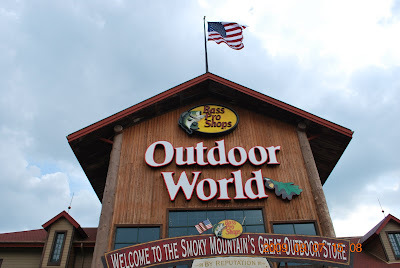 We settled on driving back to Pigeon Forge after a while to get some groceries, go shopping a little at the factory outlet stores then rest to recharge our energies for the next day. 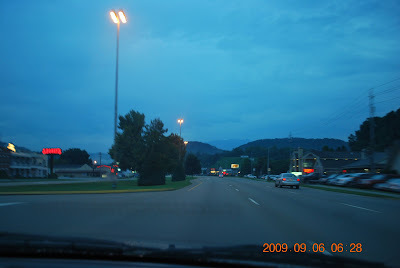 It was past 6AM but it was still dark when we drove back to Gatlinburg on Sunday. It was definitely a better place without the massive amount of tourists. We drove to the mountains for which the view was breathtaking despite the gloomy skies. We drove around town once again to pick the different spots we want to go to later in the day. 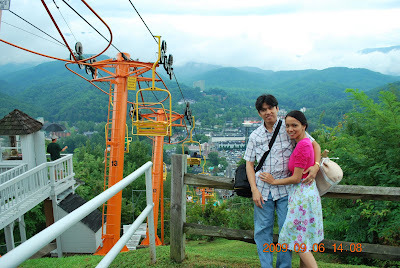 We made our way back to Pigeon Forge to prepare for church at Sevierville, a roughly 5-minute drive from our hotel. We were giggling most of the time but we were so blessed with the preaching of the host pastor. He has an incomparable sense of humor! Back to the hotel, we ate our lunch and got ready for a fun time at Gatlinburg in the afternoon. What was supposedly a 15-minute became a 2-hour drive. I fell asleep while hubby kept his eye on the traffic. It has gotten worst than the previous day. Thank God, we were able to catch sight of a free parking spot immediately then the fun started. I was scared looking at it but I also wanted to reach the top and witness an overlooking view of the entire city of Gatlinburg. Hoping to conquer my fear once more, we hopped into our seats on our turn then up, up and away we went. Thinking about it now, I feel like crazy! I was clinging to hubby as tight as I can, the whole time on our way up and on our way down. I bet you can tell on the picture. This is a scary train ride. I wasn’t that impressed but I screamed my lungs out several times. I feel ashamed about it but some parents, with their children, laughed at me while their kids remained calm and composed. 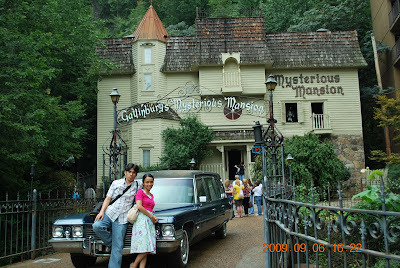 This is a haunted house which I find creepier than the Earthquake ride. I again squealed countless times while hubby remained calm and smiling while we toured up and down the old mansion. and decided to just go back to the hotel. Posted by donnalyn at 9/09/2009 04:29:00 PM 0 squiggly notes.. In connection to my previous post, my account was indeed cleared the next day. What I thought was my request for cancellation was actually the vacation package agency‘s action to reverse the charges they made to my account. I received the confirmation letter which made things a little more dubious for me. A few calls to their customer service advised me that my account will STILL be charged but ALSO ASSURED me that we’re good to go and enjoy our vacation. That gave me a little peace but my instinct kept me searching for more online reviews from their previous customers. I came across a review where the customer was charged more than twice the amount she could have paid for the hotel accommodation without making a reservation through this agency, ONLY BECAUSE SHE AND HER HUSBAND ARE NOT AMERICAN CITIZENS. I dialed the customer service hotline again. After playing the recording of my reservation, the representative found out that I was never asked if I am a citizen. She told me that the manager requested for a full refund of my transaction. I would have felt better after that conversation but I also read complaints of promised reimbursements from them that never transpired. To make the story short, my account was undeniably charged. I cannot reach them during the weekend so I called them again this morning. Accordingly, the refund request made by the manager has to go through their accounting department for approval. I am hoping for its approval but I also called my bank for the closing of my debit card to avoid future charges from them- better safe than sorry. Posted by donnalyn at 9/08/2009 08:40:00 PM 0 squiggly notes.. I have been looking forward to the coming Labor Day weekend. I considered the fact of an unpaid holiday being compensated by the great smoky mountains of America sceneries. After a week delay of making hotel reservations, I finally made a phone call this morning to do it. As always, I was a bit skeptical to give my credit card details BUT remained a fool to give it anyway. I was asking about the receipt and was told that a confirmation email will be sent in the next hour or so. An hour passed me by… then two then three, no email received. Needless to say, I went from a paranoid to a panic mode. I called the same number again and was told that my information is not shown in their database. This time the customer service said that the confirmation email will be sent within 24 hours. I called my bank inquiring if there’s anything I can do to hinder the charges to my account. Bank representative assured me that there were no incoming charges so far, which means there’s nothing we can do but wait til we see pending charges that I can request to be revoked. As I hanged up, I was hoping to see a confirmation email but still NADA! I check my online banking account as frequently as I can, until the incoming charge finally showed up. I called the bank again and requested for the cancellation of that transaction since I have not received any confirmation email from that particular vacation package website. SO there are two pending transactions on my online banking account- one is the vacation package charges and the other is my request for its cancellation. NOW here I am awaiting 24 hours for the clearing of my account, hoping that my request for cancellation will prevail over those scam charges. Posted by donnalyn at 9/02/2009 02:31:00 PM 1 squiggly notes.. SO he won’t get lost in America. Papang actually meant a GPS. That’s what he wanted for a birthday gift. Of course he was kidding. That would be useless in the Philippines. I called him this morning. It is still the night of September 1st in the Philippines. I greeted him happy birthday but told him I do not have a gift. He said never mind but reminded me again that he wants a celfone with a map when I come home. My father has grown old. Neither him nor us knows how old exactly because his birth certificate was falsified by his father long time ago. I bet his mom is the only person that may remember but she’s passed away years ago. So there’s really no one who can tell now. Today is his birthday and he assured me that his father have not falsified the date. 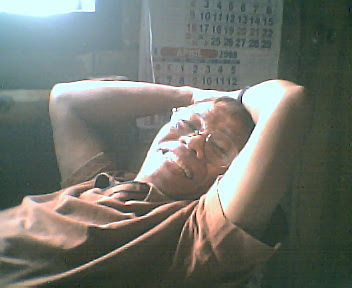 I thank the Lord for this special day of Papang. I am so blessed to serve a God Who can turn around and make things happen. I can’t praise Him enough for all He’s in my life. To my dear Papang, happy happy birthday! Thank you so so so much for all that you are to me, Nin and our family. I love you so very much. Posted by donnalyn at 9/01/2009 05:04:00 PM 0 squiggly notes..
Hubby’s tummy seems to be outgrowing his pants’ waistline. He isn’t buying my idea of online shopping for clothes but I succeeded in trying to convince him of going shopping at Target. I was just looking at the purse section…no plans, intentions or anything of that sort. 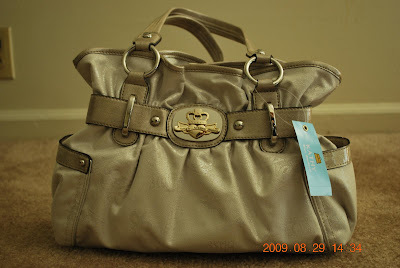 I splurge a few bucks on my first expensive chick purse, which he says and I think is worth it. 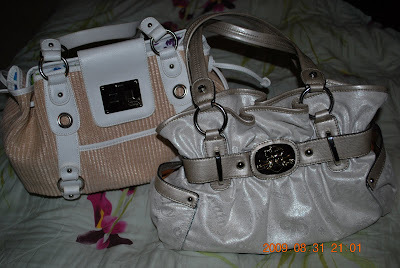 Then bought another baluyot office bag. But no, no, no…I was sane enough to control myself. I really think I spent much already. Posted by donnalyn at 9/01/2009 04:36:00 PM 2 squiggly notes.. I need to dust off cobwebs from everywhere here… You see my previous post has been sitting in my drafts folder for a week now and SO I realized I needed to post it before it decomposes to something forgotten. Soo, it’s Tuesday! I had the next longest weekend to our July 4th one. No, we have not gone on a trip out of Lexington. It started on Thursday, not because it was a holiday but simply because revival service at GFAC started that night. 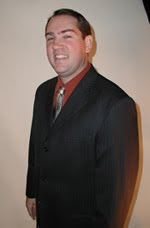 We were blessed to have visiting Evangelist Norman Brian preach on our Thursday, Friday and Sunday night services. Thursdays is our midweek service. Service last Thursday ran longer than usual. The Evangelist had so many things to teach about that the church can forget about the time and just enjoy his teaching. We had section E youth rally held on Friday night. The church was crammed full with beautiful people of God from different towns in Kentucky. Saturday was an outreach day which was joined forces together by 54 people. One group went out to visit the backsliders; another group went out to Sunday school children’s parents and another handed out flyers and music CDs to some neighborhood. I wanted to go see the Sunday school children’s parents but hubby was burdened to visit a friend and his family who have backslid in countless ways. We were given three cards, each with the backslider’s name and address. Two of them have no definite address so we finished up visiting only our friend. I got several flyers so we handed them out and inserted some on car wipers in the same neighborhood. Although others showed respect, some of the peoples’ responses were sarcastic. Even our own friend declined our invitation to Sunday service. It is sad but as the Evangelist puts it, it is between them and God. I believe it doesn’t end there. More than the flyers, it needs prayer, fasting and dedication to win a soul. I regret missing the Saturday evening’s seminar held by the Evangelist on how to pray for someone during altar call. We simply ran out of time shopping and window shopping until the time have come for us to go home, eat lunch then meet Morgan before the circus. We met with other church folks at Rupp Arena and enjoyed the show together. Nobody was too old for the circus show as we laughed, sang and fooled around with Tom the clown. We went to church early on Sunday, actually way too early than usual. We knew there will be many visitors due to outreach the previous day. Lo and behold, we were not mistaken. Most seats were already taken but we managed to find a spot for ourselves. The church was once again crowded. Visitors came as well as the backsliders. I cannot put into words how awesome the outpouring of the Holy Ghost was. Like the prodigal son, many responded to the preacher’s call for repentance and sought for the face of the Lord during altar call. It’s amazing how the Father can simply wrap His arms around this son who have failed Him numerous times. He knows the depths of our hearts and yet, loves us the same. Posted by donnalyn at 9/01/2009 09:46:00 AM 0 squiggly notes..